The Republic of Korea has a robust military. It is well trained and equipped but only about half the size of the military of its rival the Democratic People’s Republic of Korea (DPRK). It is composed of the Army, Navy, Air Force and Marines. It is equipped with indigenously produced equipment as well as that purchased from the United States and other countries. It has deployed troops to Iraq, Afghanistan as well as Vietnam and the Gulf War. The biggest component of the South Korean military is the Army which is composed of 522,000 soldiers organized into a Missile Command, Special Forces, aviation, logistics and training branches and a Capitol Defense Command. The Army is composed of 30 Infantry and 5 Mechanized divisions, 4 Armored Brigades, 7 Special Operations Brigades (Airborne), 2 Special Assault Brigades and 6 Special Assault Regiments as well as a host of artillery, engineer, aviation, air defense, chemical, security and logistics commands of various sizes. 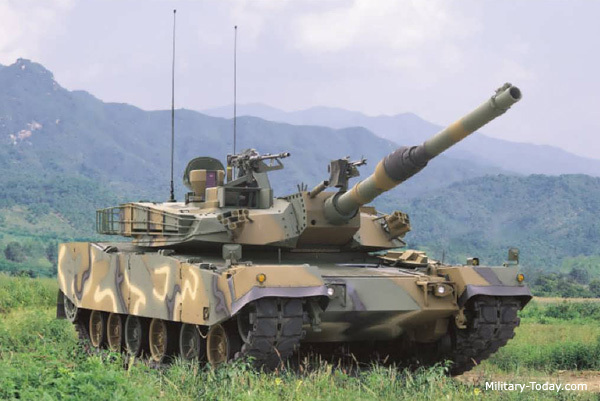 The Army has over 2500 tanks, 1500 of which are the K-1 and K-1A main battle tanks which were developed from the U.S. Army XM-1, M1, M1A1 and M1A2. These are supplemented by 880 M-48 Patton Tanks. 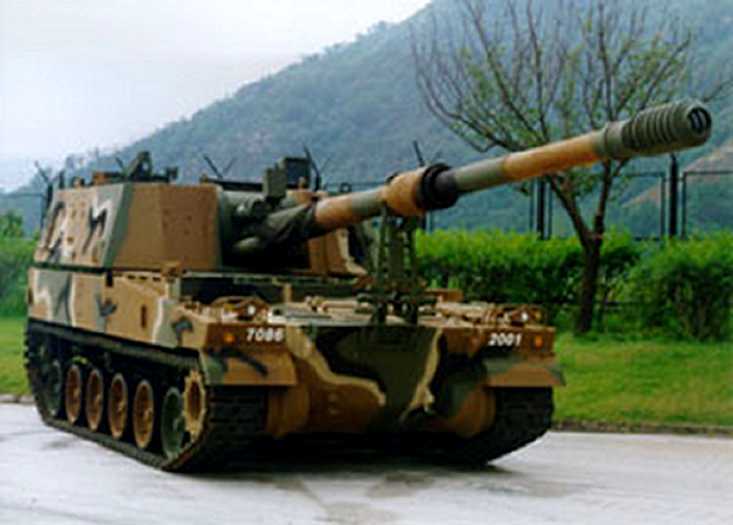 The Army also is well equipped with over 500 K-9 Self-Propelled 155mm Howitzer systems and about 1000 K55 155mm Self Propelled Howitzers based on the U.S. M109 series. The Army uses about 2200 of the indigenously produced K200 Infantry Fighting Vehicles which are being supplemented with the first production batch of 466 K21 Infantry Fighting Vehicles. Its Aviation branch operates 600 helicopters. The ROK Marine Corps is a semi-autonomous branch of the Navy and is composed of 2 Marine Divisions and a Marine Brigade with strength of 27,000 Marines. Like the U.S. Marine Corps the ROK Marine Corps has an amphibious mission and is similarly equipped with Amphibious Assault Vehicles, Tanks, and Artillery and Reconnaissance vehicles. The 6th Marine Brigade garrisons the Islands in the West, or Yellow Sea and was involved in the most recent clash on Yeonpyeong Island. The ROK Navy has 9 very modern destroyers including 2 ships equipped with the Aegis Air Defense System and 9 Frigates of the Ulsan Class. It has 12 German designed S209 and S214 class Submarines with 12 more of the later building or planned. The Navy operates about 130 other ships or craft including 23 Corvettes and 73 patrol craft. The Corvette Cheonan was sunk in March by a North Korean torpedo likely fired by a midget submarine. 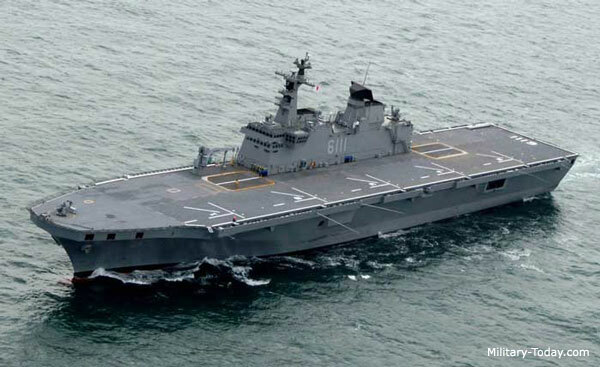 It also has a robust amphibious capability recently fielding the LPH Dokdo a 14,000 ton helicopter assault ship. It operates about 10 ASW Aircraft and 50 helicopters. As of 2008 the ROK Air force operated more than 180 KF-16, 174 F-5E/F, 130 F-4D/E, 39 F-15K fighter jets or fighter bombers. They are also pending the delivery of 21 additional F-15Ks between 2010 and 2012. The bulk of the Air Force, 6 fighter wings is under command of the Northern Combat Command. 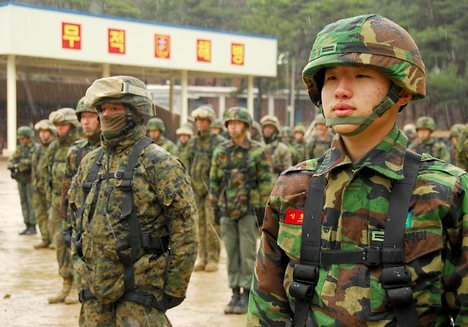 Supplementing the ROK forces at U.S. Forces Korea which include the ground forces of the 8th Army, now consisting of the 2nd Infantry Division (FWD) composed of 1st Heavy Combat Brigade Team, 201st Fires Brigade and 2nd Combat Aviation Brigade and supporting units. Reinforcements can be drawn from I Corps at Ft Lewis Washington and units of the 2nd and 25th Infantry Divisions. The 7th Air Force which has 2 Fighter Wings composed of F-16, F-15 fighters and A-10 ground attack aircraft as well as supporting ground units. . In theater Air Force assets can be reinforced by wings and squadrons from U.S. Air Force Pacific which include the latest F-22 Raptors and other attack and bombing units. Additionally units of the Strategic Air Command using B-52 and B-2 bombers can be employed. The U.S. Navy 7th Fleet based in Japan contributes the USS George Washington (CVN 73) and the embarked Carrier Air Wing Five (CVW-5) Surface Combatant Force Seventh Fleet (or Task Force 75) comprised of Aegis Cruisers USS Shiloh (CG 67), USS Cowpens (CG 63) and the seven assigned ships of Destroyer Squadron Fifteen (CDS-15) complete the surface combatant forces. Submarine Group 7 based in Guam composed of USS Buffalo (SSN 715), USS City of Corpus Christi (SSN 705) and USS Houston (SSN 713) supported by the Submarine Tender USS Frank Cable (AS 40) reinforced by USS Ohio (SSGN-726) and USS Michigan (SSGN-727) both Home-ported Bangor, Washington provide both ASW capability against DPRK Submarine Forces as well as attack and guided missile attack capabilities using Harpoon and Tomahawk Submarine Launched Guided Missiles. Amphibious forces include the Sasebo based USS Essex (LHD-2), USS Denver (LPD-9), USS Harpers Ferry (LSD-49) and USS Tortuga (LSD-46) which typically embark the 31st Marine Expeditionary Unit. Mine Warfare forces include the USS Avenger (MCM-1), USS Defender (MCM-2), USS Guardian (MCM-5) and USS Patriot (MCM-7). All can be reinforced by elements of the West Coast and Hawaii based 3td Fleet. Marine Forces of the III Marine Expeditionary Force based in Okinawa and Mainland Japan composed of 3rd Marine Division, 1st Marine Air Wing and 3rd Marine Logistics Group provide a potent expeditionary force in readiness to support any contingency on the Korea Peninsula. While the ROK and US Forces undoubtedly would control the air and the sea North Korean ground forces mostly based on the border could launch a devastating artillery and missile attack on the South Korean Capital, Seoul and their large number of special operations forces could make ground operations more difficult despite the qualitative superiority of ROK and ground US Forces. North Korea does have the capability to spread the war to Japan which could contribute its air, naval and potentially ground forces to any conflict. United Nations Forces could be added to the allied order of battle. The one thing that worries me is the ROK army’s morale. I would hope they would show the dogged determination of anyone fighting for his or her home. My largest fear is they view North Korea as a close and deadly foe, while viewing the US as a distant and less stalwart friend. After all, the chance we would nuke Pyongyang is pretty slim, but who knows what the Atoms Family (sorry, bad pun from an old fart) might do with their budding nuclear capability. You don’t need fission (or fusion) to make a “dirty” bomb, and they are a pain to clean up after. Let’s hope some form of reason returns to that troubled peninsula, and soon!